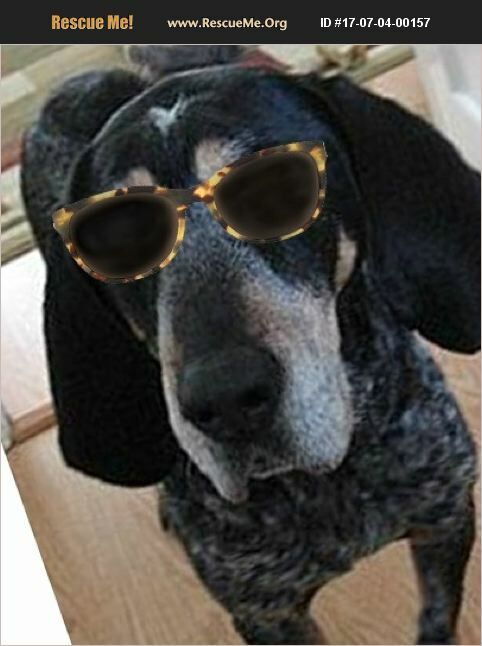 Indiana Bluetick Coonhound Rescue View other Bluetick Coonhounds for adoption. Scooby is 7-8 years old and 50 lbs. She is very loving, good with kids, housebroken. Because of her age she would do best in a quieter home and with older children. She is reactive to some dogs... so she needs a home without other pets. She also needs a fenced in yard. If you can adopt or foster Scooby please fill out an application on our website at www.indianasaveadog.com She is up to date on vaccinations, spayed and microchipped.